Men´s skincare is a trending topic, unlike some years ago, men today are looking for products for their own care. 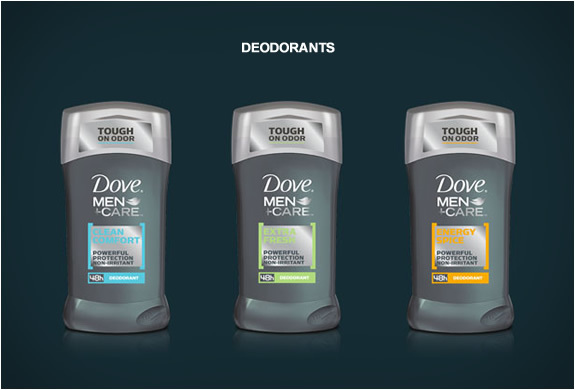 Thinking about these consumers Dove have developed a line of products for Men´s skincare, they have named it Dove Men + Care. Like all products of the brand, Dove Men Care products have ¼ moisturizing cream, providing protection, plus a hydrated skin without discomfort. These products are recommended by renowned dermatologist Dr. Benabio, read some very useful tips and advice for Men´s skincare below. Key insight: Men’s skincare is a trending topic. Facebook and Twitter have become great forums for skincare discussion (Twitter @DermDoc), guys can crowd-source recommendations and learn about products designed for them. For example, check out @DoveMenCare conversations range from how family vacations to playing a favorite sport can take a toll on your skin). 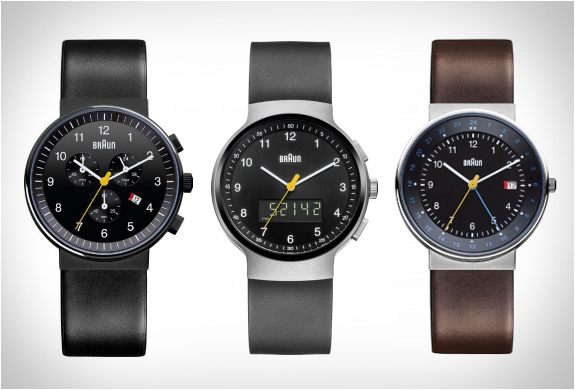 With a plethora of new men’s products on the market, it’s important to be informed. 1. Lather, rinse, simplify! 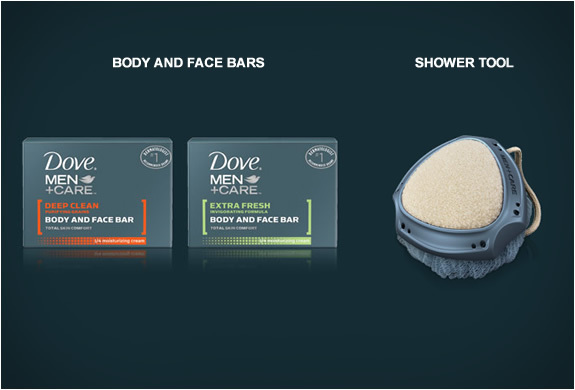 Since some men don’t like using a loofah in the shower, it’s important to simplify the body washing process with a product that lathers easily, like Dove Men+Care Clean Comfort Body and Face Wash. The products are formulated using ultra-light micromoisture technology, a unique gel technology that activates on skin during lather to guard against discomfort. 2. It’s ok to the soap. Guys often rely on a generic bar of soap (or worse, shampoo), to wash their body. These products are too harsh and strip essential oils from skin. Also, the dryness caused by soap is cumulative – the more you use it, the worse it becomes. 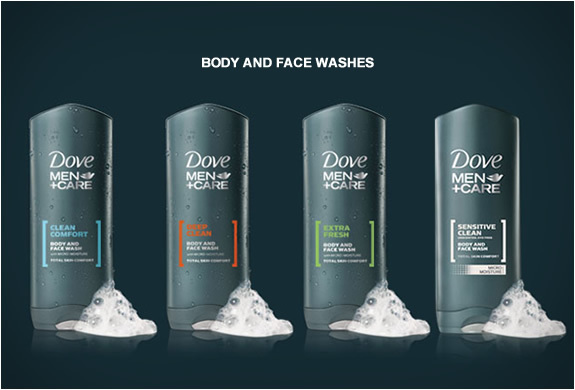 Dove Men+Care Clean Comfort Body and Face Wash is clinically proven to fight skin dryness with no irritation or tightness. 4. Leg sensitivity. 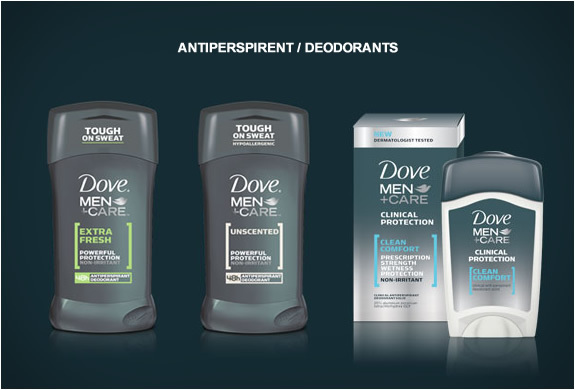 The skin on your legs is particularly prone to eczema, winter dermatitis, and other forms of skin irritation so when you’re in the shower, use products like Dove Men+Care Sensitive Clean Body and Face Wash with a pH neutral formula that guarantees a gentle, comforting clean for men prone to skin irritations. 5. It’s not the socks! Men often attribute dry skin on their feet to their socks. Since feet skin is sensitive and prone to dryness, it’s important to use a personal wash that thoroughly cleanses skin while fighting dryness, like Dove Men+Care Body and Face Bar, which contains Dove’s signature ¼ moisturizing cream. 7. Different seasons, different skincare needs. Your skin has alternating requirements, based on the season. Over the summer, it’s important to apply sunscreen to protect skin from the harsh summer sun, while in the winter, dryness becomes the big issue so be sure to moisturize often. 8. Stealing from your wife (or girlfriend) is wrong. Many guys use their wife/girlfriend’s products because they are readily available, when products designed specifically for men are often less greasy and don’t contain fragrance. 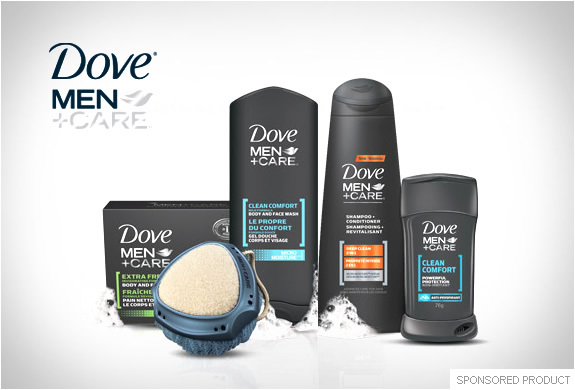 Dove Men+Care offers a technologically superior product line to provide solutions to men’s specific skincare needs. The personal wash is for men who prefer a mild, unscented body and face wash, and the deodorant/antiperspirants fight irritation and provide protection and underarm care specific to men’s needs. 9. Locker room care. After sweating and getting tossed around on the field, sports equipment like football helmets will get dirty, which can lead to folliculitis or staph infections. To avoid infection, equipment should be cleaned with rubbing alcohol, a locker staple. And to minimize the items in your gym bag, it’s helpful to use products that serve multiple purposes, like Dove Men+Care Body and Face Wash, the #1 dermatologist recommended brand.